If you have nothing, then you have nothing to lose. Landlords on the other hand, have a lot to lose. Run of the mill asset protection planning doesn’t cut it for landlords. In my experience, generic asset planning falls short either in the way it constricts a successful real estate operation, or in the way it doesn’t fully protect. The risks landlords face are different than other individuals and the business of being a landlord is different than other businesses. So what kind of risks are we talking about? And how do we protect against those risks? These types of risks are those landlords face by virtue of owning property. When someone walks on the property and gets injured, they look for the deep pockets to sue. Normally, that includes the property owner. How do you protect against this risk? First, you’ll want to make sure you have the right insurance policies in place with adequate coverage. Secondly, you might want to look at why you are the deep pocket – most likely it’s your equity in the property, so you might want to look at “equity stripping” by borrowing against your equity. What happens if your tenants don’t pay, they destroy your property, or both? The cost of trouble. We’ve found that processes like this can all but eliminate these risks. What if you’re sued by someone, not because of an accident, but because of a breach of some agreement? Insurance doesn’t cover this, so here’s where correct entity structuring can make a big difference. Holding title in your individual name leaves you with nowhere to hide from these risks. On the other hand, with some smart entity structuring limited liability protection can shield you from most. Many landlords are also business owners and have families. Risks that a family member might incur, and liability from your business could affect your rental properties. Here, cordoning off your “at risk” assets (your business and family risks) from your “low risk” assets (your rental properties) is crucial. A big part of the game when you own real estate is keeping it. Planning to make the most of the tax code (ie avoiding excessive taxation) is important. Other regulatory risks include those that come from the ever-expanding powers of cities and towns. Real property owners are never too far from the minds of regulators, and while most landlords I know would rather be left alone, towns and cities have other ideas. The negative implications of city and town overreach can be minimized by structuring your operations correctly. As I mentioned, protecting against the risks landlords face is different. This is not estate planning (though having a compatible estate plan is a big part of asset protection planning), this is asset protection planning. This is the crossroads of life planning, business planning and estate planning. 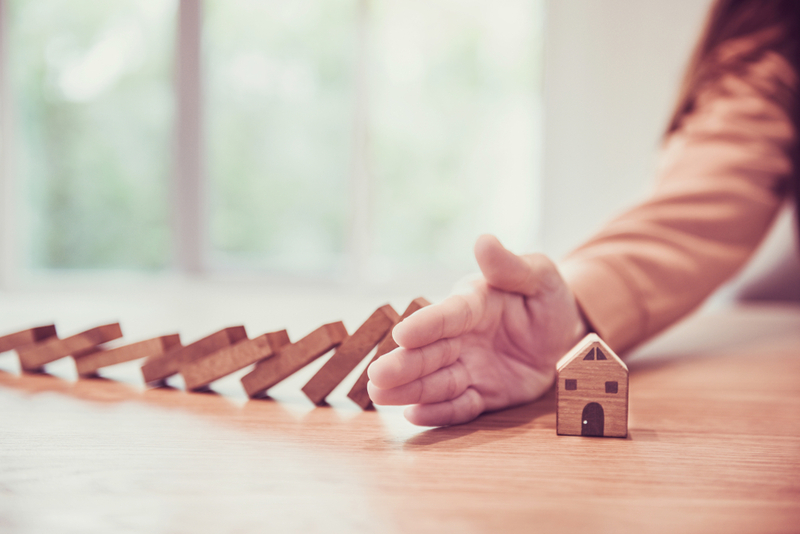 Landlords face risks from multiple sources, and they not only need to protect themselves, but they also need to structure themselves so that they can continue to grow and thrive. This is a multi-dimensional approach, on which we call upon many different practice areas as well as our years of experience in the business of real estate and the business of helping our landlords through when things go bad. Our strategies are borne from the trenches of fighting off threats for our clients. Want to get a handle on your risks? Give us a call, and we’d be happy to evaluate your asset protection plan.